In a press release today, It was confirmed that Tony George has stepped down as CEO of the Indianapolis Motor Speedway and Hulman-George Co., but he will however stay on the board. 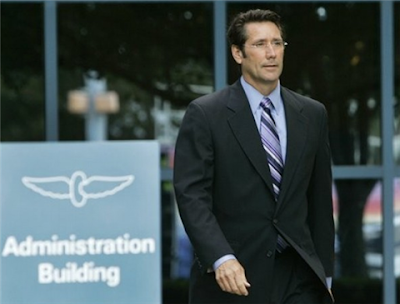 It's still unclear as to the direction the Hulman-George family will decide to go in terms of Indianapolis Motor Speedway president for the long term, but atleast in the mean time, Jeffrey Belskus will be moving up from the execuitive vice-president and chief financial officer for Hulman and Co., and will become IMS president. Curtis Brighton will become president and CEO of Hulman and Company after spending several years as executive vice president and chief legal counsel for the company. Humpy Wheeler has been rumored to be a candidate for the job, but on Wind Tunnel a few weeks ago he said that President of IMS was probably not in his future but he would probably "help out". The Indianapolis Motor Speedway has began selling digital copies of various Indy 500 radio broadcasts. They Currently have the 1960 (4hrs) and 64' (5hrs) broadcasts available with the 1968 (4hrs) broadcast "coming soon". How Do You Spell Hideki? 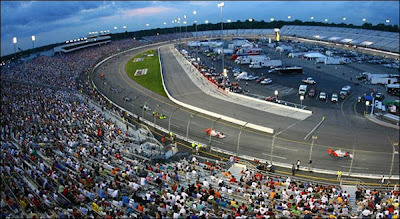 The Indy Car Series heads to Richmond this weekend to tackle the three fourths of a mile bullring they call Richmond International Raceway. This marks the fifth straight oval for the Indy Car Series and the eighth race on the season. Last year, Tony Kanaan took the twin checkered flags, capping off a near perfect weekend at RIR, as he started from the pole, lead 166 laps on his way to victory lane. That win was Tony’s last Indy Car Series win, almost hard to believe that he hasn’t won in over a year. In 2007, Dario Franchitti took the win on in the SunTrust Indy Challenge. He too capped over the near perfect weekend by winning from the pole, and leading 242 of the 300 laps. Dario went on to win the championship that season, which continued the streak of Richmond winners going on to win the Championship. That list included Sam Hornish Jr. in 2002, Scott Dixon in 2003, and Sam Hornish Jr. again in 2006. Richmond is a track about handling, and keeping you noise clean. Tight short track racing makes for an awesome Saturday night race, but can be breath taking for drivers. Clean pit stops are key as well, with a tight pit lane, getting in and out cleanly can be the difference as track position here is key. So my predictions last week for Iowa were pretty close to spot on. Dario took the checkered at Iowa going 2 for 2 in the corn fields. This weekend at Richmond it is a little tougher for me to pick a winner. I am stuck between picking Dario Franchitti once again, or to go with Helio Castroneves. So, my pick to win this week is Dario. He knows how to get it done on the short ovals, and his pit crew will do the work in the pits. I will put Helio in a close second and Scott Dixon third. My darkhorses, once again it has to be Tomas Scheckter, he knows how to run up front at almost any race track, and if his pit crew can be flawless, don’t be surprised to see Tomas on the podium. My other dark horse is E.J. Viso. Now, I know what everyone’s thinking, am I nuts? E.J. finished 10th here last year, and needs to finish a race, since he hasn’t all year, I think he has the determination to have a solid finish, key word finish. Indycar Headed To Brazil..China In 2011? It seems as though the rumors of the Indycar Series heading to Brazil are no long rumors, as Michael Marot of the AP reports it's going to happen. Marot reports that Terry Angstadt, president on the IRL's commercial division, confirmed that the Ribeirao Preto Brazil race will kick off the season and will be held in March. Don't get me wrong, I love the ovals, but this is a tremendous move for the series. The move to Brazil further strengthens Indycar's reach around the world, and does it in a way that will minimally affect the U.S. Television times. With Ribeirao Preto just one hour ahead of the Eastern time zone it'll be hugely different then the current race in Motegi, and probably held on a Sunday afternoon. Another great aspect to the agreement is that the racing season will open sooner. This year the first race wasn't until April, just a month before the kickoff to the Month of May. Hopefully St. Petersbug, Long Beach and Kansas will stay locked into the current format with a week off between Brazil and the Grand Prix of St. Pete. But the key to the deal is that it keeps ApexBrasil happy. As most of you know, the Indycar Series switched from U.S. corn based ethanol to the Brazilion Sugarcane variety over the offseason. But what some of you may not know is that Apex Brazil is not just an ethanol company. They are also involved in Construction, Entertainment, Fashion, Machinery, Technology and Health, and the rumors are out there that if Indycar had a race in Brazil, ApexBrasil would want to have sponsorship on every car in the league, which would be HUGE! There have also been rumors that China is interested in holding an Indycar Series race beginning in either 2011 or 2012 and those rumors could also become reality after Marot's report. The race would be held in Qingdao, the home to the 2008 Beijing Olympics Sailing events, and would hold up to 500,000 fans. I have mixed emotions as to the amount of fans the Chinese race would hold. On the positive side, the race would bring in a crazy amount of money to not only the league but the teams as well. But I don't like the fact that the Indianapolis 500 would no longer be the largest race in the world. In the wake of news that Paul Tracy will be piloting the #15 Geico sponsored Dallara for the upcoming race in Watkins Glen, they announced his sponsor for one of two other races on his schedule. 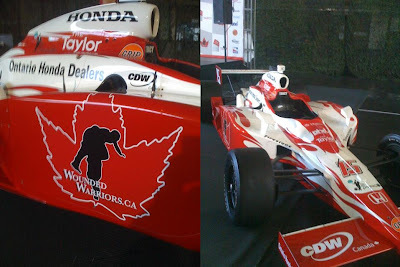 The Ontario Honda Dealers Association has signed on to sponsor the veteran for the July 12th Indycar Inaugural Honda Indy Toronto. UPDATE:Tracy has now released a few photos of the Toronto and Edmunton paint scheme through, yea you guessed it, Twitter. 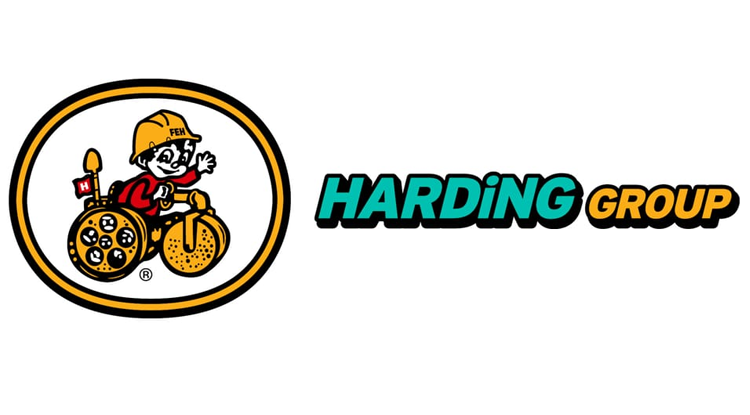 As many of you may have heard on the latest addition of Trackside with Cavin & Kevin, both the league and Indycar teams are looking for answers to the passing plague. Larry Curry of Dreyer & Reinbold Racing explained multiple concepts that would help passing, all which basically narrowed down to the IRL allowing teams more freedom. Curry mentioned everything from wheel base to suspension, but said that the number one thing he would do to improve the racing would be to open up rear flap angles. President of competition for the IRL Brian Barnhart fallowed up on the show saying "There's a log of concern", in regards to indycar's passing problem. Barnhart said the number one problem is that all the teams have had the same Dallara for so long, the teams are bunched together and have squeezed everything out of them. Barnhart went on to say something needed and would be done. 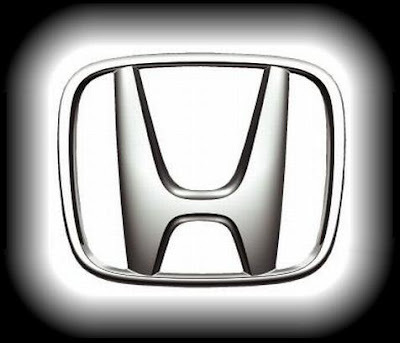 According to Curt Cavin, Honda has been developing a type of "push to pass" that would give the driver an extra 5 or so horsepower. The new system has been tested at both Chicagoland and Richmond with strong results. 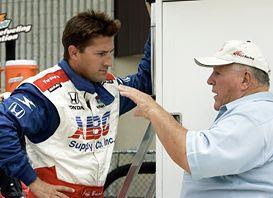 In 2004, after 2 wins and 78 Indycar starts including 8 Indianapolis 500's, Robbie Buhl retired from racing and began a career in team ownership. In 2007 Buhl made a move to the booth as T.V. analyst for the Firstone Indy Lights alongside Bob Jenkins. 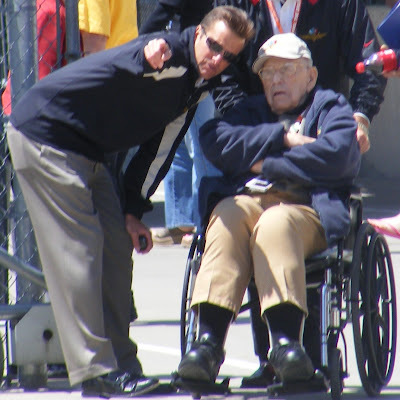 Buhl who is still co-owner of Dreyer and Reinbold Racing, joined Bob Jenskins and Jon Beekhuis in the VERSUS booth for 12 of the 17 Indycar races in 2009. 16th And Georgetown: To date, it seems like the majority of fans are pleased with the job VERSUS has done. What kind of reactions have you gotten from fans? Robbie Buhl: Fan reaction has been excellent and a lot of people have asked me for Jon Beekhuis' autograph. 16th And Georgetown: Do you feel like the move to the VERSUS booth has had any affect on the Dreyer & Reinbold Racing team? Robbie Buhl: Yes, it has really brought out our competitiveness. 16th And Georgetown: Dreyer and Reinbold has ran 2, 3, and 4 cars in various races this season. Other than Indy, what is the ideal number of cars D&R would like to run week in and week out? Robbie Buhl: Five. More chances for me to show that I am unaffected by extreme adversity. 16th And Georgetown: There's unfortunately been quite a few instances this year when you've been in the booth when one of the D&R cars makes contact. So far, you have done a tremendous job of calling the accident like it was just any other car. How difficult has it been to keep your cool under such frustrating circumstances? Robbie Buhl: Not at all. Cause I'm just really that cool. And in denial. 16th And Georgetown: Once the month of May rolls around, do you ever feel the urge to jump back into a car for a final attempt at the Greatest Spectacle? Robbie Buhl: I did once, but my wife put my manhood in a jar, so, no. 16th And Georgetown: You've started on the front row and have led the Indy 500, won the 92' Indy Lights Championship, and won the 24 hours of Daytona. Looking back on your career, what's your biggest accomplishment as a driver? Robbie Buhl: Sitting between Bob and Jon each weekend and being on Versus…my manhood in a jar at home, where my wife can keep an eye on them. The Indy Car Series heads to Newton, Iowa this weekend for the third running of the Iowa Corn Indy 250. The 25,000 seats around the 0.875 mile oval will be packed with fans ready to see the Indy Car action. The Iowa Corn 250 is 250 laps long which equal a distance of 218.75 miles, which makes it the shortest oval race on the Indy Car schedule. The first ever Iowa Corn 259 was ran back in 2007. Dario Franchitti took home the win driving for Andretti Green Racing, with his teammate Marco Andretti in second and Scott Sharp in third. Only five cars that day finished on the lead lap, after multiple incidents claimed over half the field. The 2008 race saw Dan Wheldon roll the dice on fuel to win on his birthday, picking up his 15th career win. Hideki Mutoh and Marco Andretti rounded out the top 3. Last year, thirteen of the twenty six starters finished on the lead lap. So what can we expect this weekend at Iowa? Twenty cars are entered into the field, Including Jacques Lazier in the #98 3G car. Tomas Scheckter heads back to the #23 car for Dreyer and Reinbold Racing, and it will be the first race for Ryan Hunter-Reay with A.J Foyt Racing where he will run the remainder of the schedule. A few drivers will look to break out of a slump, no more so then Andretti Greens Tony Kanaan. Kanaan, hasn’t been to victory lane since last year at Richmond, and since his Indy wreck, has an average finish of 18th, which has dropped him to seventh in the championship standings. Another driver looking to improve is E.J. Viso. Viso, the second year driver for HVM Racing, is having what seems to be a sophomore slump. E.J. hasn't finished a race all year, and hasn’t finished a points paying event since last year at Sonoma where he brought it home 6th. With the championship heating up, the Indy Car Series heads into its summer stretch. The IRL will run races in eight of the next nine weeks, including the next four weekends. After the checkered falls at Iowa, the series will head to Richmond, followed by road courses at Watkins Glen, Toronto and Edmonton, head to the oval at the Kentucky Speedway, and then back to right and left handed turns at Mid- Ohio. The next nine weeks are critical for all the drivers to display their skills, and make a run at the Championship. My Predictions: I will take Dario Franchitti to score his second win at Iowa, and his second on the year. I believe Andretti Green will have a break out weekend, look for them in the top 5. My dark horses are Tomas Scheckter and Hideki Mutoh. You can see the Indy Car Series at Iowa at 1 p.m. Eastern Time on ABC, and the Firestone Indy Lights race will be ran Saturday night at 8 eastern, and can be seen on Versus, Monday at 4 p.m. Were introducing a new feature today, podcasts. With it being the first, I'm not sure how well it'll turn out but I figured it was worth a try. Joining myself on the first podcast is Joe from Indy Trackside. 16th And Georgetown: You've been an announcer at the Indianapolis Motor Speedway since 1985, but took over for Tom Carnegie in 2007 as lead Public Address Announcer. Do you feel any pressure fallowing in the footsteps of a legend? Dave Calabro: I did not take over for Tom…. I am just one of several announcers. I learned a great deal from Tom thru the years. The pressure is always there to perform, but that’s what makes it so fun! 16th And Georgetown: Tom Carnegie carried the tittle of IMS PA Announcer for 61 years. How long do you see yourself holding the prestige's position? Dave Calabro: I will do it as long as they aske me back! 16th And Georgetown: Over the years while working for both WTHR and the Indianapolis Motor Speedway, you've interviewed countless legends including your recent one on one with Jim Nabors. Who have been some of your favorite Indianapolis 500 interviewees over the years. 16th And Georgetown: Growing up on the west side of Indy, what are your first memories of the Indianapolis 500? Dave Calabro: first memory….1969 Indy 500…Mario won it..
"KV Racing Technology to field car for Paul Tracy, GEICO to sponsor at Camping World Grand Prix at Watkins Glen, July 3-5"
Tracy has already been confirmed to pilot the #15 KVRT Dallara in the upcoming Toronto and Edmunton, both in his home country of Canada. Props to Joe over at Indy Trackside for finding the USA Today Article. Nate Ryan reports from the stock car race this weekend in Michigan, that 15 time Indy 500 winning car owner Roger Penske will enter Will Power in 5 more Indycar races this season. If you don't already know, Penske Racing also fields an entry into the Rolex Grand-Am Series. When Will Power ran the 3rd Penske car this season in Long Beach and Indianapolis they used there Grand-Am team to pit the #12 Dallara. Not saying those are the races Power will run, but I think there's a good chance. According to the Indiana business Journal, the Indycar Series has signed KYMCO USA as the much sought after Official off-road vehicle and scooter supplier of the Indy Racing League and Firestone Indy Lights. KYMCO who's already done more activation than 3/4 of IRL sponsors, will provide scooters and off-road vehicles for the IRL and FIL for the remainder of the 2009 season and beyond. The IBJ also reports that DB Schenker has signed on as the official freight logistics sponsor of the Indy Racing League. DB Schenker will set up logistics for transporting Indycar Safety vehicles to and from IRL events around the world. The Des Moines Register is reporting that Jaquest Lazier will again be piloting the #98 Team 3G ride in next weekends Iowa Corn 250. Lazier will replace Stanton Barrett who spent this weekend running stock cars and playing corn hole. In slightly off topic news, United States Olympian and gold medalist Shawn Johnson will be attending next weekends race in her home state of Iowa. No word on whether or not Johnson who won the latest installment of Dancing with the Stars, and Helio Castroneves will compete in a dance off. 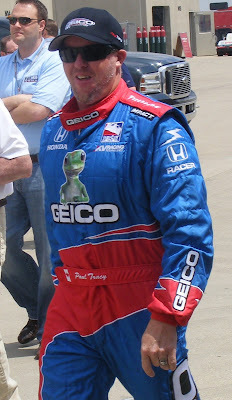 In the two races since Foyt driver Vitor Meira was injuried in the 93rd running of the Indianapolis 500, veteran Paul Tracy and A.J. Foyt IV have both piloted the #14 to frusterating results. But now Ryan Hunter-Reay will be taking over for the season. Vitor Meira is slated to return for the season finale in Homestead-Miami this October, where the Foyt operation will field a two car team. Sure it's surprising, but the worst part about the situation is that the #21 car will now be vacant, lowering the already low full-season car count to 19. And that's counting both Milka and Tomas Scheckter for the full season. "We knew there would be challenges bringing Ryan (Hunter-Reay) on board at such a late juncture, but we did so knowing the benefits it would have to our program on the long term. My commitment remains with keeping Ryan Hunter-Reay in the series and with Vision Racing for the long term. We had high hopes that we'd be able to attract the primary sponsorship necessary to continue through the course of the season and into the future. While those efforts have been rewarded with some positive developments and opportunities which we are actively pursuing and developing, it did not provide for the short terms needs and our ability to ensure a successful program for the balance of the season." "We all have the big picture in mind for Vision's future, and that is not only to find our way to victory circle, but for Vision to have a program that is capable of challenging for the Championship. As competitive as the Indy Racing League is today, those goals require a strong commitment not only by the team but also by sponsors and partners. In the very short time I have been at Vision their efforts in developing sponsorship and B2B opportunities have yielded positive results which have laid a strong foundation we intend to build on." Toyota, McLaren, Renault, Brawn GP and BMW Sauber all have to lift there conditions by next Friday June 19th to be included. Can't really say I blame him. He was with a top team in Chip Ganassi Racing, but I'm sure he wants to race. I just hope he can find a full season ride for next year, because if not he will really be regretting the decision. Although were heading into and Indycar off weekend there's plenty of topics for tonight's edition of Trackside with Cavin & Kevin. Among the scheduled guests are Alex Lloyd, Klint Briney (Sarah Fisher's PR dude), Doug Boles (former Panther Racing co-owner), and possibly Larry Curry. UPDATE: Lloyd just tweeted "Time for a HER and a quick gym session...."
"So I have decided to leave Ganassi Racing. I need to explore my options and get into a race car and to do that I need to be a free agent." "CGR have worked hard to find funding and I appreciate their efforts, I need to get back behind the wheel and this gives me my best chance." Lloyd, who's the only driver to have won a race on on both the oval and road coarse at the Indianapolis Motor Speedway, made 2 Indycar starts with TCG including the 08' and 09' Indianapolis 500's. If I were Lloyd, there's no way I would leave one of the two best teams in the IRL without knowing I had a ride somewhere else. Maybe it's here in the Indycar Series, Firestone Indy Lights or somewhere else, but he has got to have something in the works. After another Robin Rumor came out a couple weeks ago, that Dixon could be leaving for Gil de Ferran Motorsports thus leaving a full season seat open, why would he leave if he thought that he had any shot at it. Either A, Robin Miller is wrong and Dixon is staying. Or B, Chip flat out told the young driver that it's not his. Team 3G announced today that former Firestone Indy Lights driver Richard Antinucci will pilot the #98 in Watkins Glen. The 28 year old Antinucci who is the nephew of 98' Indy 500 champion Eddie Cheever, won 2 races last year in the FIL including Watkins Glen. He ended the season with a 11th place finish, and 2nd in the Championships just 32 points behind Raphael Matos. Ten years ago, Robby McGehee came to the Indianapolis 500 as a rookie. The St. Louis native and graduate of Ole Miss University was 25-years-old when he made his first laps at the famed 2.5 mile oval. Robby got his start at the Skip Barber racing school when he was 15-years-old and 10 years later, he found himself running for Rookie of the Year honors for the 83rd Indianapolis 500. Robby credits his mother for getting into racing. "When I was young, I had a sports car, she had a sports car, and we saw each other on the street. Of course the only thing to do is drag race, right?" Robby said. 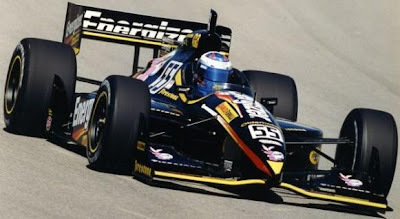 Robby came to Indy in May of 1999 running for Conti Racing in a Dallara powered by Oldsmobile. The black No. 55 Energizer-sponsored car didn't go unnoticed at the Speedway. Robby qualified 27th for the 500 at 220.139, five MPH slower then pole-sitter, Arie Luyendyk. Robby overcame a pit road incident that put chief mechanic Steve Fried into a coma for a few months. Robby used that determination to pilot his 55 car to a fifth place finish and he received Rookie of the Year Honors. Robby accepted the award on Fried's behalf. "It was bittersweet because my chief mechanic was badly injured, but he was OK after a few weeks so I could enjoy it." Robby said of the 1999 500. Robby went on to record four top 10s in seven starts in his rookie season, finishing 16th in the final standings. Those four top 10s caught the eyes of many Indy Racing League owners, including Indy 500 champion car owner, Rick Treadway. Robby ran his second season for Treadwayin the Meijer No. 5 car. "I had the best success in that car, the car in 2000 was always awesome." Awesome it was, posting four top 10s in nine races, and a career best second place finish in the Casino Magic 500 at the Texas Motor Speedway. "Treadway was the power team at the time, we tested for Firestone, had the best motors, and the best tires. I had a great relationship with the team and was always a confident drivers." Robby recalled on the 2000 season. His success in 2000 led to a test with Panther Racing. The test was cancelled twice due to rain, and Mother Nature gave the ride to Sam Hornish, Jr., who went on to twinchampionships with Panther. Robby ran 2001 in the No. 10 Cahill Racing car. Sponsored by Olypus, Robby ran a half black, half white car at Indy, resulting in an 11th place finish after starting 14th. He finished off the year with four top 10 finishes, finishing 16th in points. Robby went on to run for Beck Motorsports, posting one top 10 in 2002, and failed to qualify for the Indy 500. He returned in 2003, where he ran the Indy 500 for Panther racing. He qualified on Bump Day in the 31st position and finished 25th in the Panther No. 44. He returned to the speedway in 2004 and ran for PDM Racing. He squeaked in as the last qualifier on Bump Day and started 33rd. He piloted the No. 18 Burger King car to a 22nd finishing spot. Robby ran the Texas race for RedBull Cheever Racing that season. Robby has now hung up the racing gloves and is a newly crowned father to triplets. Robby's wife, Norma, gave birth to Harry, Robby, Jr., and Cammie. They were born on April 27th. Robby spends his free time flying airplanes, golfing, and playing with his five dogs. He is the vice president at Huntleigh McGehee. He still resides in the St. Louis area. The Indy Car Series heads to Texas for this weekends Bombardier Lear Jet 550k. One of the most exciting races of the season, the 550 kilometers, 342 miles, pave the way for side by side action, and some of the closest finishes in Indy Car Series history. Texas has been dominated by Team Penske and Panther Racing since the Indy Car Series first sent to the high banks of Texas back in 1997. Panther has scored five wins at the track, two of those wins by Scott Goodyear, two by Sam Hornish Jr. and their last Indy Car win in 2005 with Tomas Scheckter. Panther has veteran driver Dan Wheldon behind the wheel, who has a best finish at Texas of third on three occasions. Penske has four wins at Texas, one by Sam Hornish Jr. and Gil de Ferran, and two by Helio Castroneves. Helio, fresh off his 3rd Indianapolis 500 victory, can go for another third in winning this weekends race at Texas, tying him with former teammate Sam Hornish Jr. for the most wins at Texas. Scott Dixon heads into the race with the points lead, after scoring his second victory on the season and eighteenth overall. If Dixon can back up last year's win in the Bombardier Learjet 550k, he will tie another Sam Hornish Jr. record for most victories in Indy Car Series history at nineteen. 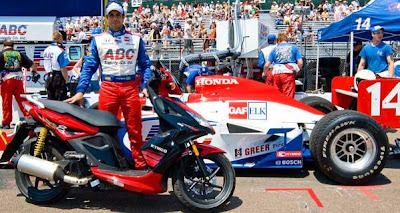 Dixon's teammate Dario Franchitti makes his return to the Texas high banks, after a stint in Nascar. Dario sat on the pole is his first race at Texas, and finish 2nd. Tomas Scheckter recently signed to drive nine races for Dreyer and Reinbold, including this weekend at Texas which will mark his 101st Indy Car Series start. He has three career poles at Texas and one career win. Milka Duno also returns this weekend driving for Dreyer and Reinbold, rounding out their three car lineup, also featuring rookie Mike Conway. Texas could shake up the points as the battle for the title heats up heading into summer. Seven different winners in the past seven June Texas races opens the door for the competition to be furious, giving anybody in the field a chance of winning, but many big wrecks have forced contenders out of the running early. Dixon leads the points by four points over Ryan Briscoe and Dario Franchitti who are tied for second. Fourth place in the standings is Danica Patrick, and fifth is Helio Castroneves. Although not quite a year old (June 22), 16th And Georgetown is growing. After crunching the numbers I figured that by the implementation of the new Indycar formula in 20011/12 it'll be a multi gazillion dollar business. With growth comes improvement, so were bringing on another writer, Tony Donohue. Tony will be in charge of a new series entitled "Where are they now". The articles will document a long lost Indycar driver, describing what they did in the car and what there doing now. The series premier will be posted later today and will be featuring Robby McGehee. Tony will also jump in every once in a while as he did yesterday and write about general Indycar news. My name is Tony Donohue, I just finished up my two year schooling at Vincennes University, where I majored in Journalism. I have grown up around the speedway, I have attended every Indy 500 since 1993. I have written for Tomas Scheckters website in the past, and still help out with publication items for him. I would love to be a pit reporter some time down the line for the Indy Car Series. I currently produce Indiana Sports Talk at ESPN 1070 The Fan in a part time role. I attend Milwaukee, Iowa, Kentucky and Chicagoland as well as the 500 annually. Tomas Scheckter has been confirmed to drive at Texas in the #43 Dreyer and Reinbold, Mona Vie sponsored Honda, bumping the car count to 24. This will mark Scheckter's third race of the 2009 Indy Car Series season, he piloted a Dale Coyne car in the Indy 500 to a 12th place finish, and replaced Milka Duno in the #23 last week at Milwaukee finishing 13th. Tomas scored his 2nd career victory at the Texas Motor Speedway in 2005 while running for Panther Racing. Along with the win, Tomas has also had his fair share of bad luck in Texas. 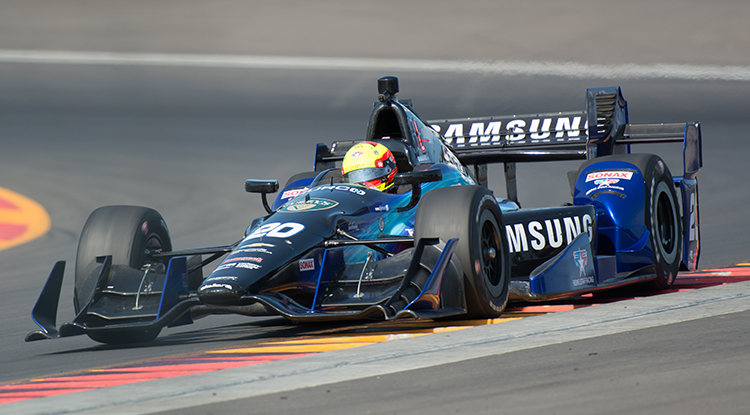 Last year, a run in with Mario Moreas knocked him out while running for Luczo Dragon, and in 2007, he made contact with Marco Andretti while running in the top ten, knocking him out of contention. 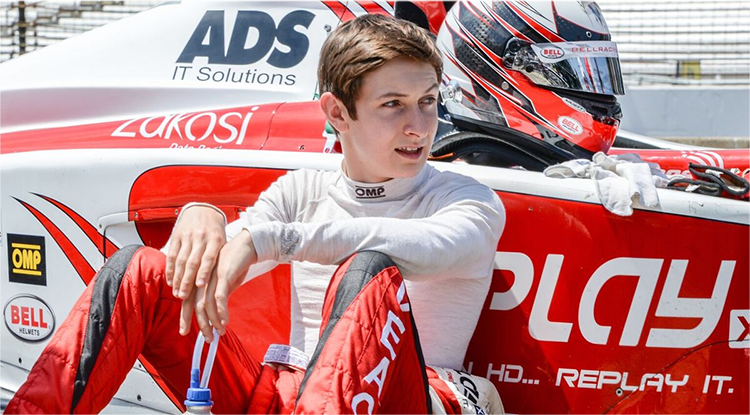 Tomas will join Rookie Mike Conway and Milka Duno to fill out a three car team for Dreyer and Reinbold Racing. More Details to come. UPDATE: According to Indycar.com, Tomas will be in the car for 9 races. 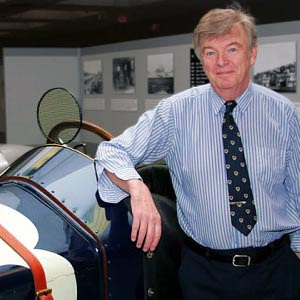 I think that we can all agree, If you have a question about the Indianapolis 500 or the Indianapolis Motor Speedway, Donald Davidson is the man to ask. The official track historian since 1998, Davidson is probably best known for his radio show "The Talk of Gasoline Alley", but he's also written several great books including Autocourse. After years of hearing Donald talk about other people, it's time we learn a little bit about him. Finally after a month, I got the Q&A done. 16th And Georgetown: What is it about the 500 that first got your interest? Donald Davidson: "I don't know if it was the names of the drivers or when I found out what the cars looked like. I liked the car names." 16th And Georgetown: Your radio show, "The Talk of Gasoline Alley" airs nearly every night during the Month of May on 1070 The Fan in Indianapolis. What is your favorite topic to talk about on the show? Donald Davidson: "Well I like telling stories. For the most part the questions have been about drivers and reviewing there careers and I used to do that with there finishing positions and stats. For a numbers of years, when it was WIBC still, the commercial load and the fact that we had to do traffic reports and stuff like that really limited the amount of time that I could talk, and I really like to tell stories so that was very hard to do. Over the last couple of years it's been a lot easier. I ended up doing the same things over and over again, but I like to do different stuff. I just like telling antidotes that hopefully will appeal to more than just racing enthusiast. Hopefully and I think it seems to work that if somebody asks about a driver, hopefully most people will either no who I'm talking about or if it's a guy driving his car and the wife is there I can make it interesting for her as well." 16th And Georgetown: If you could sit down with 3 drivers/personalities from the 100 year History of the Indianapolis Motor Speedway, who would they be? Donald Davidson: "That was a good question. I couldn't do 3. Wilbur Shaw would be one and the people from the 50's that I didn't meet. I would be interested to meet Vukovich, I don't know that there would be great conversation there because he was quiet. I think Jimmy Bryan, Bob Sweikert were both people I would liked to of met. Lee Wallard [laughs], so that's just the winners I could think of." 16th And Georgetown: What's your favorite car or "Special" that has ever ran in the Indianapolis 500? Donald Davidson: "If I had to pick one, probably the 57 winner [Sam Hanks]. That's probably a combination of several things. One is, that that's when I first got interested but it's such a neat story anyway." 16th And Georgetown: Many say that the late great Lloyd Ruby was the best to never win the Greatest Spectacle. Who do you believe is the best to never win and where does Ted Horn rank? Donald Davidson: "I wouldn't just do one. I think there's several people to consider and the cars have changed so much that I think its difficult to throw them all into a pot and just pick out one. I think the obvious ones are Rex Mays and Ted Horn. Ruby certainly, Michael Andretti, probably Scott Goodyear, Dan Gurney [laughs], even Roberto Guerrero it looked like he was going to be a winner. I'm probably missing somebody else as well"
16th And Georgetown: If you could go back and sit in the stands for any of the 93 Indianapolis 500 mile races, which would it be? Donald Davidson: "Probably 1960. That's a little before my time but I knew what was going on and it's generally considered that that was the best race." My name is IRL was first to spill the beans, but it has now been confirmed by the always reliable Curt Cavin. Jaques Lazier, who spent the entire month on May walking the garages, will step in for Stanton Barrett in this weekends Texas Motor Speedway Bombardier Learjet 550k. It is unclear as to if Barrett, who is co-owner, will get back in anytime soon. Cavin also reports that A.J. Foyt IV will be piloting the #14 Foyt Racing car this weekend, after PT's disaster race last weekend. He also says that Milka will be back in the #23. Tomas Scheckter tweeted yesterday "Looking forward to Texas". So it sounds like he has a ride, but with who? If not in the #23 D&R car maybe he'll sub for Conway. Who knows!! UPDATE: The entry list is now out. It looks like Scheckter's landing spot will be the TBA for Conquest. 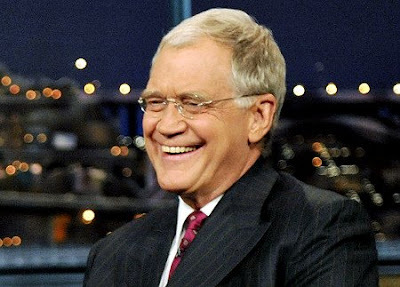 Be sure to tune into the Late Show with David Letterman tonight at 11:35. Dave will be joined by newly crowned 3 time Indianapolis 500 Champion Helio Castroneves.